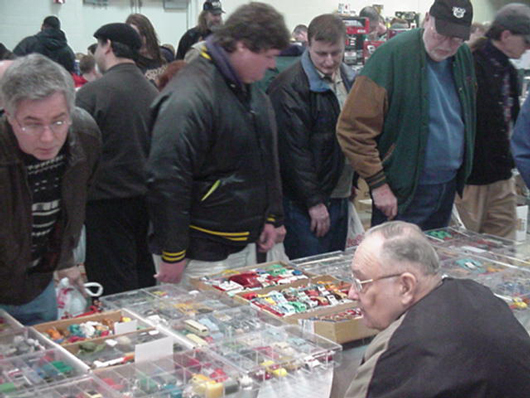 This smiling vendor is counting his money after the sale of some of his fine 1/43rd scale collector’s cars at the Countryside Collector’s Classic Toy Show. 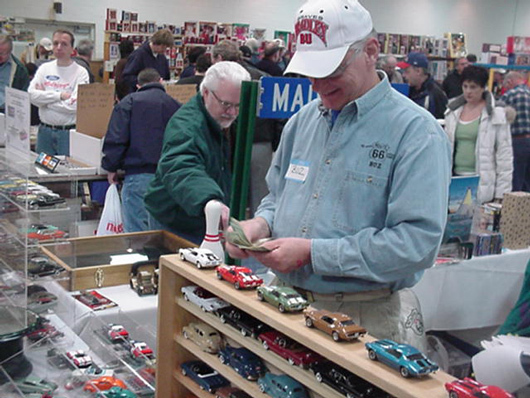 You will find many 1/43rd scale cars at this show as members of the 1/43rd collector’s club are usually present selling their custom and hand built models. 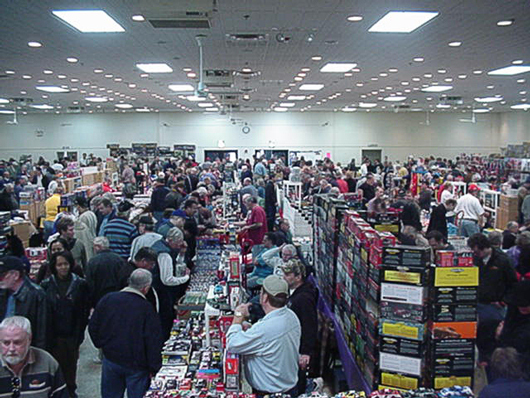 A view down one of the aisles shows “the Buz” of interest many toy collectors and hobbyists have at this show. Plastic model kits, Hot Wheels, Corgi, promos and more, it’s all here for the finding. 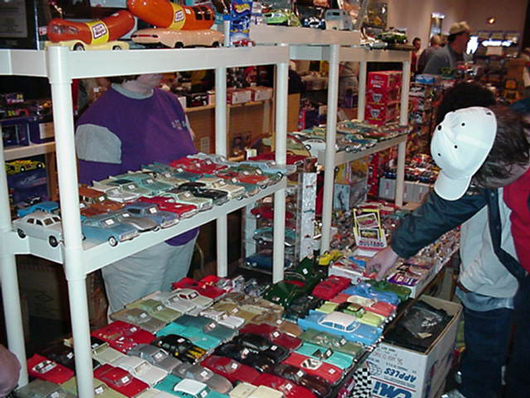 A large selection of promo cars are for sale on this table. A few examples are: Pontiac GTO, a few Chevy Corvettes, a nice AMC Rambler, Cadillac Eldorado and Fleetwood models, Ford Mustangs, and an older Ford Falcon. Buicks included a Road Master & a Riviera. 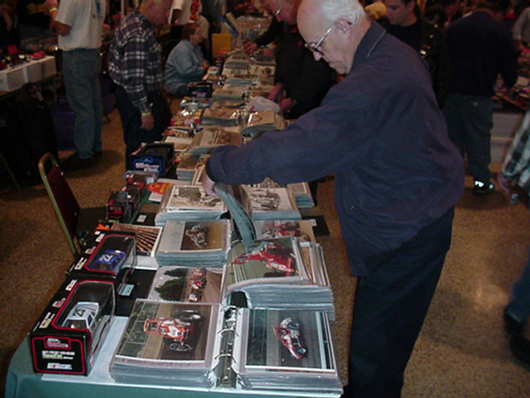 Sprint Cup, Indy, NHRA and NASCAR photographs fill the three tables of this vendor’s space. From local Saturday night track drivers to long gone legends, there's a racing photo for everyone. 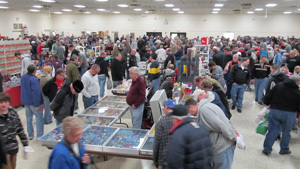 An overview of the Park Place of Countryside Collectors Classic Toy Show. 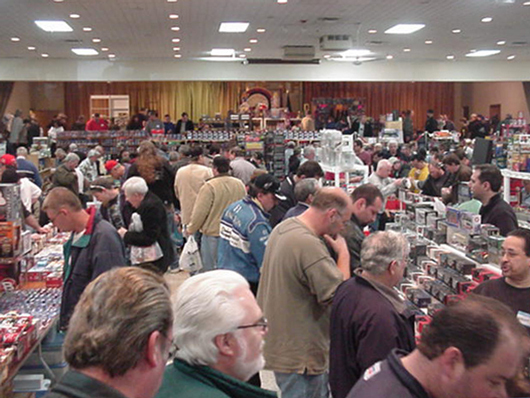 Notice all heads looking down studying all the great merchandise! 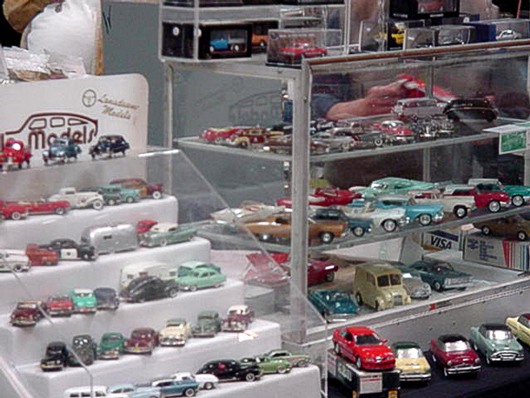 Miniature automobiles take up less room and are easier to display. Many collectors prefer their size, but some of them can come with pretty hefty price tags. 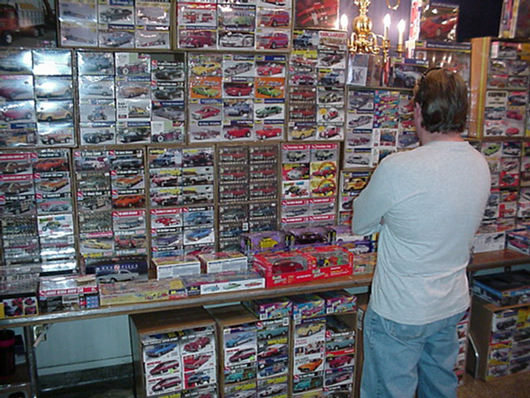 Every type of model car you can imagine can be found here. From complete sealed new kits, to new old stock plastic models from the 1950’S. Even parts and decal sets for many different types of plastic models are present. If only they were all real cars! Well, the next best thing are these 1/43rd scale models and promo cars. You can still admire them and not have to wash them, or change the oil. Easy fellas, we won’t interrupt your deal. Sometimes people just won’t smile when the camera is flashing. 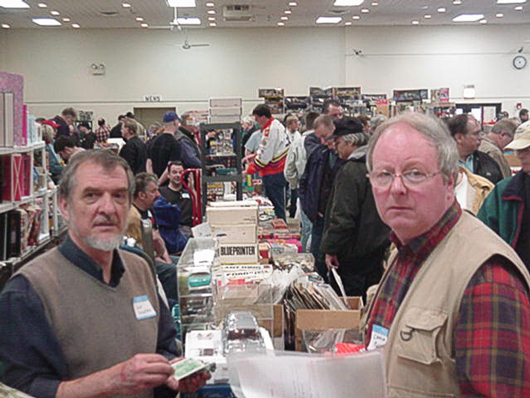 If you’ve ever been to this Illinois toy show before, you know these two nice guys. 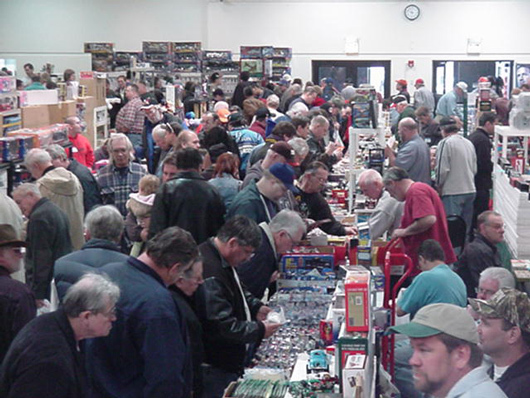 From slot cars to plastic model kits, Hot Wheels, Matchbox, Corgi, dealer promos, tin car toys and many other collectible toys, it’s all right here in Countryside, Illinois.